The Grand Lodge of Texas on Columbus Avenue has long served as the center of operations for masonry in Texas and is one of the largest freemason lodges in the world. The Grand Lodge of the Republic of Texas, Ancient Free and Accepted Masons is the oldest continuously operating organization in Texas, established through the Grand Lodge of Louisiana in 1835 and becoming its own entity in 1837, with Sam Houston presiding over the organizational meeting. 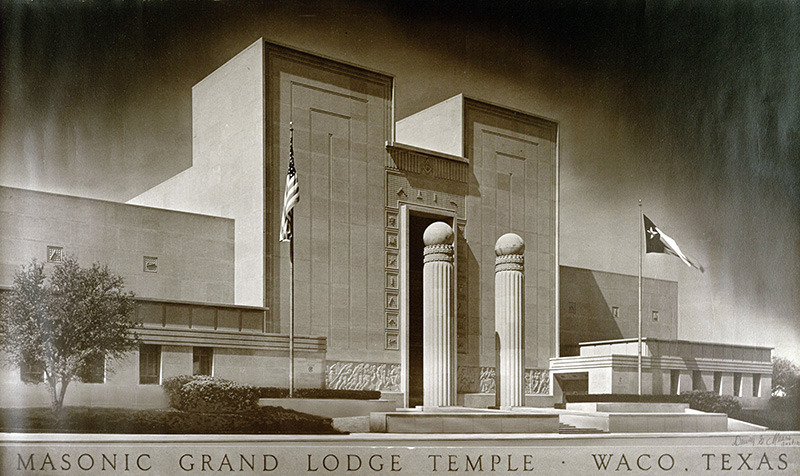 It developed into the fifth-largest masonic lodge in the world as well as the headquarters for Texas freemasons. On December 6, 1904, it moved from Houston to Waco. 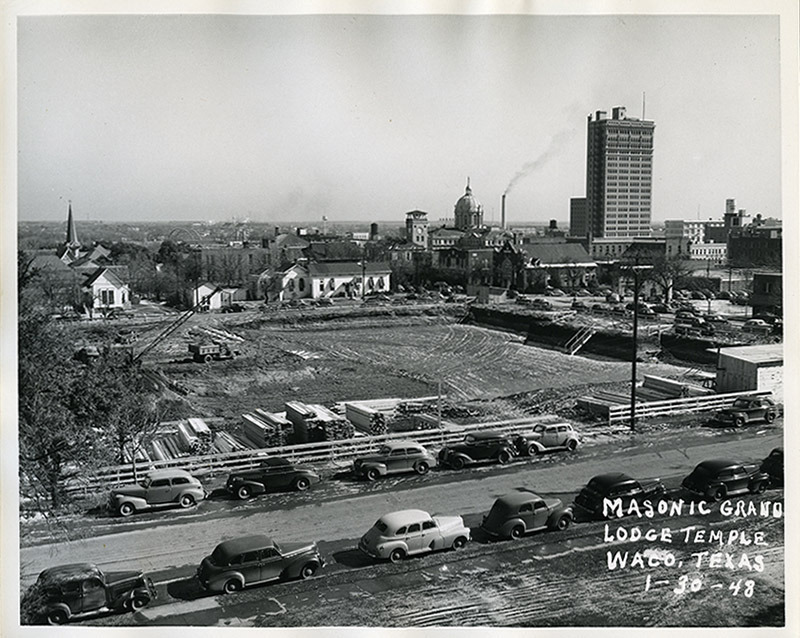 Twentieth-century modernization and rapid economic expansion made Waco’s central location in the state the perfect location for the masons, establishing prime conditions for the growth of the Grand Lodge. The fraternal organization initially shared a building with the National Guard in Waco but needed more space as the lodge continued to grow. The masons formed a committee, purchased land, and crafted a building design. 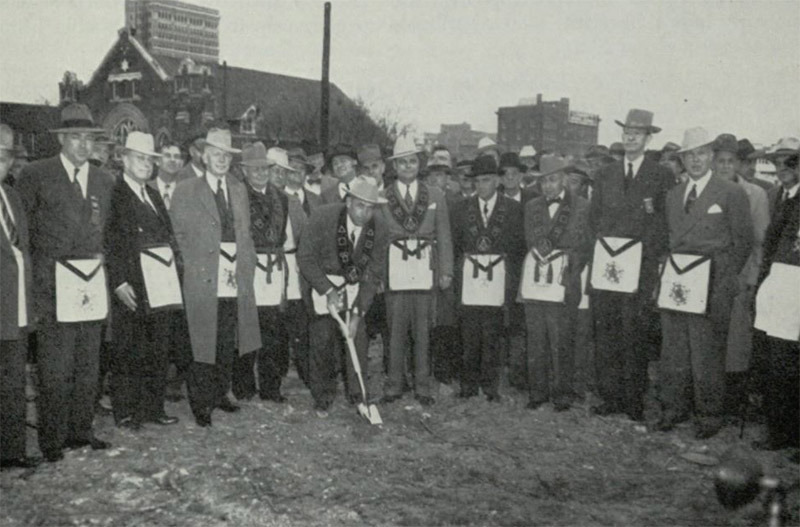 On December 23, 1947, the Masons held a groundbreaking ceremony. 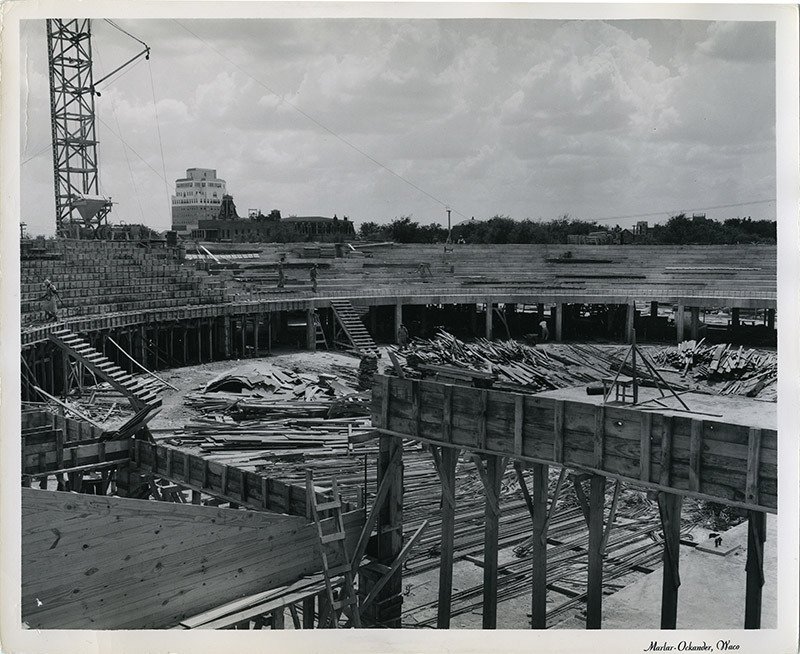 The two million dollar project was completed in 1949, and the One Hundred and Fourteenth Annual Communication was the first event held in the new lodge. The building, located on Columbus Avenue between Sixth Street and Seventh Street, is grandiose. The Grand Lodge’s granite white stone finish and design are inspired by the description given in the Bible of King Solomon’s Temple—a massive, elegant structure constructed to hold the Arc of the Covenant. The impressive structure attracts many viewers and draws interest to downtown Waco. 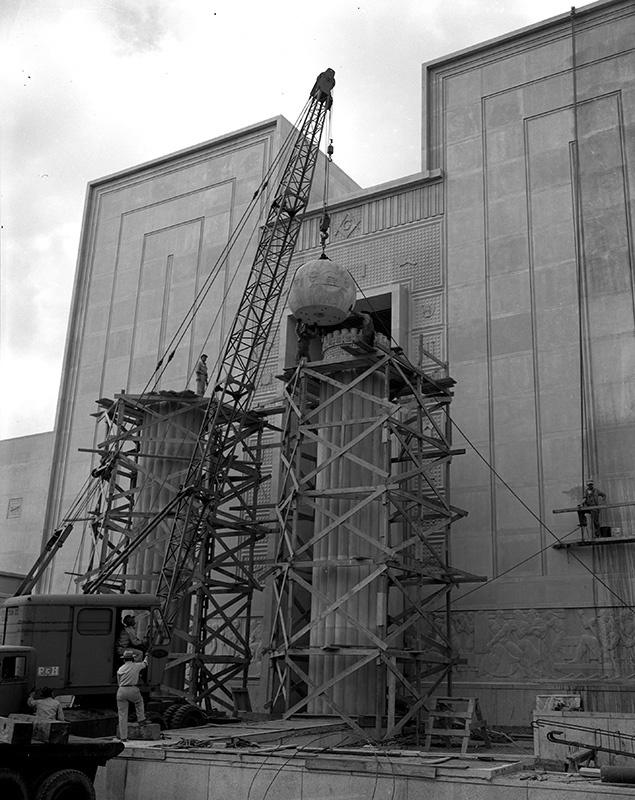 At first glance, eyes are drawn to the two large pillars in front of the building with globes situated on top. One globe is terrestrial while the other globe is celestial. Contemplating these two bodies is meant to inspire the studies of geometry, astronomy, geography, and navigation through which more extensive knowledge of the mysteries of nature and laws which govern the universe may be obtained. The other noticeable feature on the outside of Grand Lodge is a stone bas-relief illustrating people quarrying, transporting, and setting stones for the construction of King Solomon’s Temple. 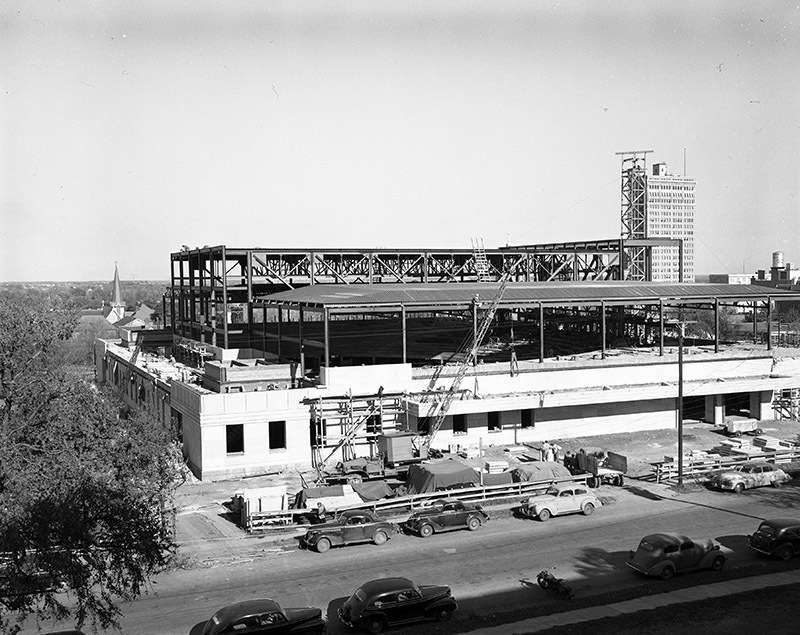 Raoul Josset, a French-born American sculptor whose work can be seen throughout Texas, received a commission in 1948 to incorporate the sculpture onto the side of the building. This architectural feature separated the building from any other in Waco or Texas. 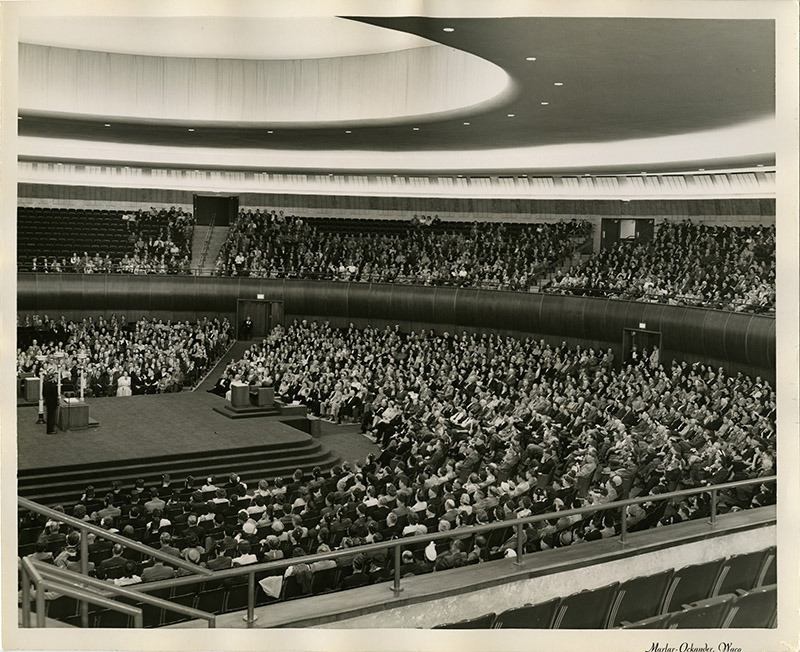 Internally, the lodge contains facilities such as offices, meeting halls, a library, and a museum. 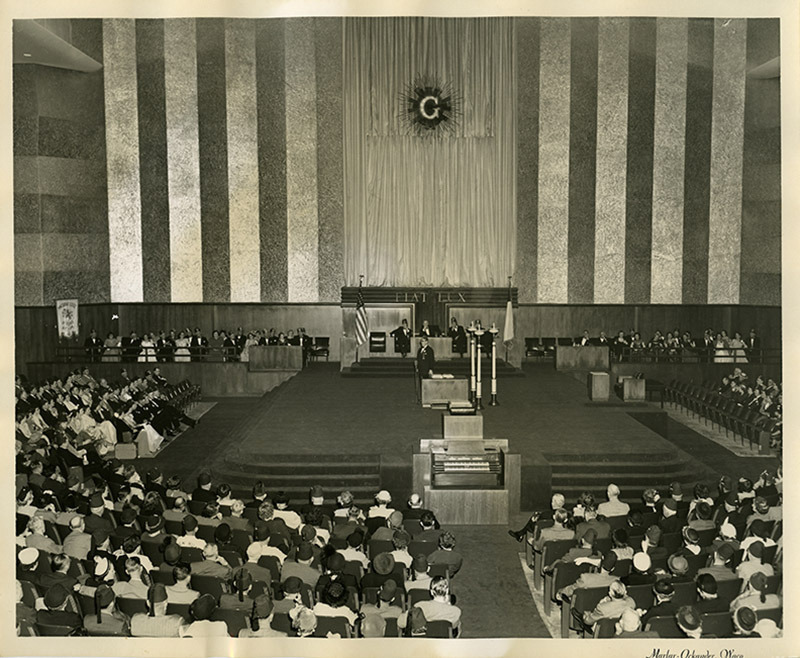 Additionally, items such as Sam Houston’s gavel, the Masonic constitution, petitions, books, speeches, communication notes, and portraits are on display within. This impressive building, which combines both a visual experience and a practical space, accomplishes more than just sharing the knowledge of the history, of the Texas Masonic Order. The Grand Lodge preserves information on Waco and Texas history making it an important part in understanding the surrounding region. In addition to meeting the needs of Texas freemasons, the Grand Lodge of Texas has served as a center for the fraternal organization’s charitable operations as well. The Masons largely centered their efforts upon the provision of education for children, establishing both Masonic-sponsored and public schools throughout Texas. Some other charities of the Texas freemasons include the Texas Scottish Rite Hospital for Crippled Children and the Shriners Burns Institute in Galveston. 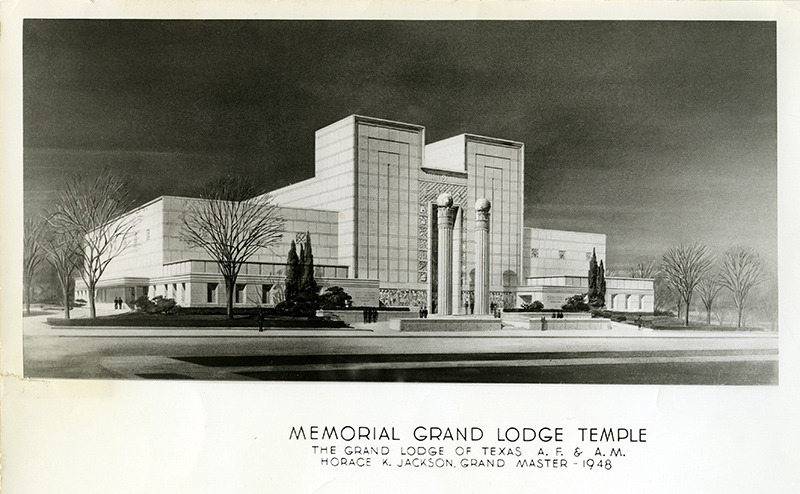 Today the Grand Lodge of Texas remains the center of freemasonry in Texas, in addition to standing as one of the hallmark architectural pieces of the city. 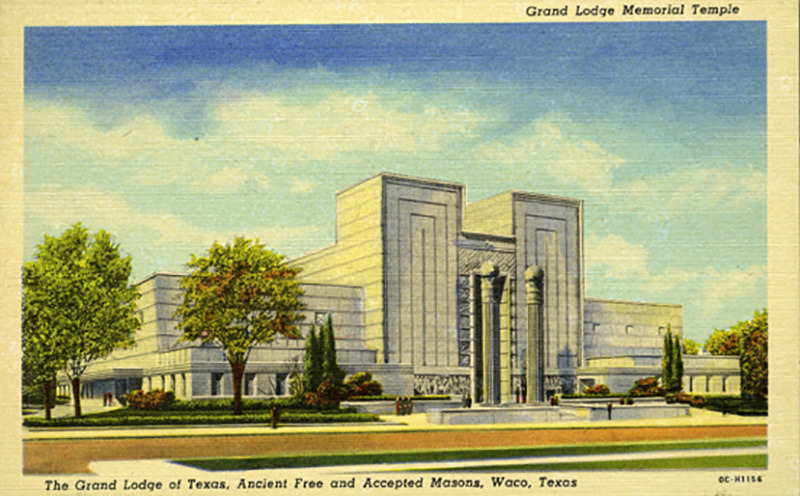 Jordan Ortiz-Lovince, “Grand Lodge of Texas,” Waco History, accessed April 26, 2019, https://wacohistory.org/items/show/110. Vaughn, William Preston. "Freemasonry." Handbook of Texas Online. June 12, 2010. http://www.tshaonline.org/handbook/online/articles/vnf01. Accessed July 28, 2015.